From the front door of the home to the car’s door, all of us use various keys and locks in our everyday life. The durability of the locks and keys mostly depend on the material with which they are manufactured with. If the lock or the key is made from inferior quality, you might land yourself in a troubled situation which can arise if while opening the lock the key gets broken and its remains get stuck in the safe lock or door lock. The best solution in such a situation is to opt for key extraction services from a renowned locksmith. It can be a frustrating situation if you have come back from a party at 2 am and got your key stuck in the door. Chiko’s locksmith can come to your rescue at such a time. Our professional staff is there for your assistance at any time you need. Whether it is Sunday or the wee hours of the night, all you need to do is to contact us and our expert staff will bail you out of the difficult situation with their expertise and experience. If you want to save your cost on various locksmith services i.e. 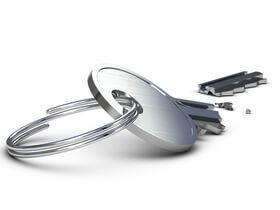 house lockout service or file cabinet replacement keys, your ultimate choice should be Chiko’s Locksmith. We are providing proficient services at the most affordable rates. We are considered to be the best in business due to our trained and experienced staff. Whether you are looking for a locksmith for business or domestic locks, you can hire our services for the best results. Many immature or inexperienced locksmiths use a magnet to extract the key out of the door lock. However, this practice is time-consuming and can only be useful if the key has magnetic properties. However, the experts that we have hired are equipped with the right gears i.e. key extraction sets and other equipment which they use for the extracting the key out of the lock. To cut the long story short, Chiko’s Locksmith is your one-stop shop for all the locksmith services. We are licensed; hence, you can trust us whether you want replacement keys for your cabinets or transponder keys for your car. Our rates are market-competitive and services are top quality. All the factors combined make us the best locksmith in town.